Computer numerical control or CNC machines are responsible for delivering quality CNC machining services. How this can be achieved has a lot to do with the rate of performance of the CNC machining tools in question. In the industrial scene, machines are easily among the more valuable equipment mainly because they make production work faster and more convenient. This was not the case several decades before when many workers have to endure hours of extensive manual labor just to finish the manufacture of one single product. With the development of numerical control or NC machines, more convenient work settings became the norm. 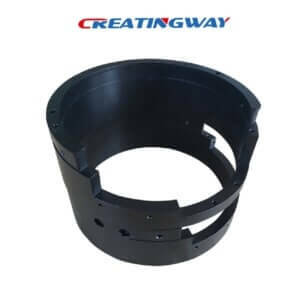 This further improved following the replacement of the NC’s with the CNC machining devices with their capacity to deliver excellent CNC machining services. In general, however, it can be difficult to imagine how a given CNC machine works, especially for those with little or no exposure to industrial operations. A good way of resolving this is to take a look at any drilling project. 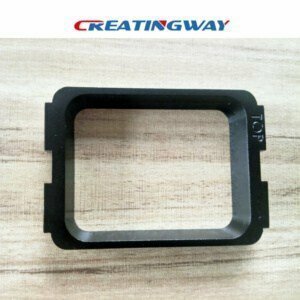 How to do better customs CNC Machining Services for your projects? In typical fashion, a worker will make use of a drilling machine to initiate the drilling venture. To do this, some processes will have to be observed first. These include selecting the appropriate drilling speed, the duration of the drilling, and getting to activate the drilling button, or what is sometimes called as the spindle. Ostensibly, manual drilling is not only time-consuming it can be painstaking as well. This is particularly the case in generally large projects where drilling has to be made many times over. When this is the case, CNC machines are frequently brought in if only to finish the project faster and meet the requirements of the client. Of course, the scenario presented above is a simplistic version of how CNC machines can make industrial work more efficient, thus providing the expected customs CNC machining services. In actual industrial production settings, many CNC machining tools perform far more complex functions. Still, despite the complexity of their jobs, CNC machines are amazingly efficient. The reason for this lies mainly on the type and level of programming built into these machines. Depending on how they are structured, some CNC machining tools can be made to operate with hardly any supervision. Ideally, however, an operator needs to be available during production hours when these machines are running. This is to ensure that the CNC’s are operating smoothly, although it is not uncommon to find a few models of these machines carrying an error-detection feature. This allows any malfunction incident to be quickly identified so as not to compromise the delivery of excellent customs CNC machining services. let’s split precision machining into two words. Precision is all about exactness and detail. Machining, on the other hand, is the process of using equipment to make parts out of raw material. Therefore, precision machining involves making parts that are closest to the actual blueprints or plans. Equipment used in precision machining Machinists don’t use manual methods. Instead, they rely on fast and accurate machines that follow the design they have in mind. Jets that spray off the water at overwhelming pressure could chip off metals with ease. Most machines rely on computers to guide them in the process. Machinists only need to input the blueprints in the computers, and the machines create the outputs. The common system used is called Computer Aided Design (CAD). The standards of precision Defining a CNC machining service is easy, but another question arises. How precise should machining be? Before, manufacturers made precision up to .1 of a millimeter the standard. But now, machinists could guarantee accuracy up to .005 millimeters. This is a great leap for the manufacturing industry since products have become smaller. Why use a CNC machining service? If you’re into the manufacturing industry, you need to get help from experts and get precision machining services. There are several companies that specialize in machining services. However, they are differentiated by their methods. Some use lasers, other use water, while others have a different operating system. In this world of high safety standards, your machining method could decide how efficient or safe your product could be. The next time you look at a car, a refrigerator or a watch, stop and think about the CNC machining service that made them. thank you, Sarah, if you have any inquire on these CNC Machining, then inquire us, we will get you in 12 hours. thank you very much, and we will share more these information all th time, so you can noted us you will learn more knowledge.